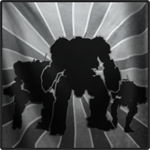 Announcing the return of Antares Scorpions North American Unit to competitive Mechwarrior Online. Antares Scorpions are looking to recruit skilled, competitive mech pilots. We are building our North American team to compete in the highest level of competitive Mechwarrior online. We will be supported by a core of previous North American pilots and a strong and growing European team. We do and have participated in some of the biggest MWO leagues such as MRBC, RHoD, MLMW, MCW and PGI's official tournament. We have one of the longest and strongest histories in the competitive MWO community. We are founded on teamwork and cooperation. We consider pilots of all levels, but do require that they possess a willingness to learn. We give all our pilots an opportunity to practice together and scrim other teams, believing that training players gives the best results. We encourage private 1v1, 2v2, as well as large group drops. You do not need to have previous competitive experience but it is encouraged. We expect our players to be willing to accept and give advice. No classism, no egos, no drama queens, only nice people. 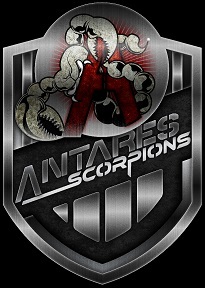 Antares Scorpions has a long history of winning without drama or ego. We expect sportsmanship to play an important role in our team and encourage it. Which tag you want to wear ingame is your decision, and we will not make it a requirement to have AS-tags for our competitive team. Feel free to play with us at our Team Speak: antares-scorpions.typefrag.com or add mrpetzold or United Airlines Security in game. If you are a competitive, active and skilled pilot looking for a good team and wanting to get more involved in competitive MWO, then come and apply to Antares Scorpions, just be sure to mention why you want to join us and why we would want you. Edited by BanditB17, 14 May 2017 - 04:39 PM.